See Enabling MRC in your app below for guidance on a new MRC capability for HoloLens 2. Since a user could take a mixed reality capture (MRC) photo or video at any time, there are a few things that you should keep in mind when developing your application. This includes best practices for MRC visual quality and being responsive to system changes while MRCs are being captured. Developers can also seamlessly integrate mixed reality capture and insertion into their apps. MRC on HoloLens (first-generation) supports videos and photos up to 720p, while MRC on HoloLens 2 supports videos up to 1080p and photos up to 4K resolution. Mixed reality captured photos and videos are likely the first exposure a user will have of your app. Whether as mixed reality screenshots on your Microsoft Store page or from other users sharing MRCs on social networks. 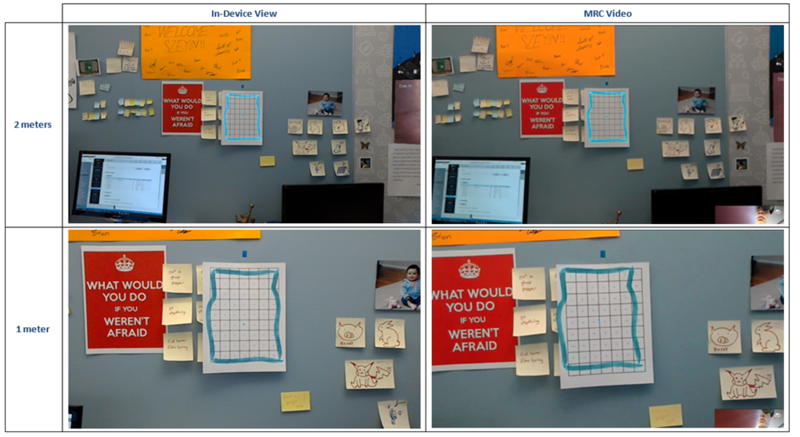 You can use MRC to demo your app, educate users, encourage users to share their mixed world interactions, and for user research and problem solving. By default, an app does not have to do anything to enable users to take mixed reality captures. However, because the design of HoloLens 2 increases the distance between the photo/video (PV) camera and the display, we'll be introducing a new option to produce a 3rd camera render aligned to the PV camera of HoloLens 2. 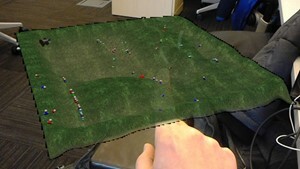 Hologram alignment to both your physical environment and hands (for near interactions) should be accurate at all distances, instead of having an offset at distances other than the focus point as you might see in the default MRC. The right eye in the headset won't be compromised, as it won't be used to render the holograms for the MRC output. When a 2D app uses DXGI_PRESENT_RESTRICT_TO_OUTPUT or DXGI_SWAP_CHAIN_FLAG_HW_PROTECTED to show protected content with a properly-configured swap chain, the app's visual content will be automatically obscured while mixed reality capture is running. 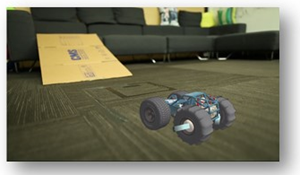 The AppCapture class can be used by an app to know when system mixed reality capture is running (for either audio or video). AppCapture's GetForCurrentView API can return null if mixed reality capture isn't available on the device. It's also important to de-register the CapturingChanged event when your app is suspended, otherwise MRC can get into a blocked state. MRC is expected to work without additional work from developers, but there are a few things to be aware of to provide the best mixed reality capture experience of your app. The most important step is to make sure your app is clearing to transparent black instead of clearing to opaque black. In Unity, this is done by default with the MixedRealityToolkit but if you are developing in non-Unity, you may need to make a one line change. Change any content that is showing up as opaque black to have an alpha value of 0. Ensure that the app is clearing to transparent black. Unity defaults to clear to clear automatically with the MixedRealityToolkit, but if it’s a non-Unity app you should modify the color used with ID3D11DeiceContext::ClearRenderTargetView(). You want to ensure you clear to transparent black (0,0,0,0) instead of opaque black (0,0,0,1). 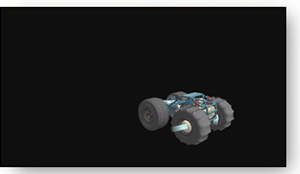 You can now tune the alpha values of your assets if you’d like, but typically don’t need to. Most of the time, MRCs will look good out of the box. MRC assumes pre-multiplied alpha. The alpha values will only affect the MRC capture. MRC photos and videos will respect the application’s focus point if the application has enabled it, which will help ensure holograms are accurately positioned. For videos, the Focus Point is smoothed so holograms may appear to slowly drift into place if the Focus Point depth changes significantly. Holograms that are at different depths from the focus point may appear offset from the real world (see example below where Focus Point is set at 2 meters but hologram is positioned at 1 meter). Your mixed reality app can initiate MRC photo or video capture from within the app, and the content captured is made available to your app without being stored to the device's "Camera roll." You can create a custom MRC recorder or take advantage of built-in camera capture UI. Developers can use the Camera Capture UI API to get a user-captured mixed reality photo or video with just a few lines of code. This API launches the built-in MRC camera UI, from which the user can take a photo or video, and returns the resulting capture to your app. If you want to create your own camera UI, or need lower-level access to the capture stream, you can create a custom Mixed Reality Capture recorder. While the user can always trigger a photo or video using the system MRC capture service, an application may want to build a custom camera app but include holograms in the camera stream just like MRC. This allows the application to kick off captures on behalf of the user, build custom recording UI, or customize MRC settings to name a few examples. Unity Applications should see Locatable_camera_in_Unity for the property to enable holograms. Other applications can do this by using the Windows Media Capture APIs to control the Camera and add an MRC Video and Audio effect to include virtual holograms and application audio in stills and videos. The new Microsoft recommended API (returns an object, making it possible to manipulate dynamic properties): Windows.Media.Capture.MediaCapture.AddVideoEffectAsync() / Windows.Media.Capture.MediaCapture.AddAudioEffectAsync() which require the app create its own implementation of IVideoEffectDefinition and IAudioEffectDefinition. Please see the MRC effect sample for sample usage. StreamType UINT32 (MediaStreamType) 1 (VideoRecord) Describe which capture stream this effect is used for. Audio is not available. 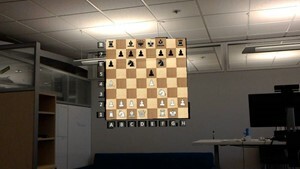 HologramCompositionEnabled boolean TRUE Flag to enable or disable holograms in video capture. RecordingIndicatorEnabled boolean TRUE Flag to enable or disable recording indicator on screen during hologram capturing. VideoStabilizationEnabled boolean FALSE Flag to enable or disable video stabilization powered by the HoloLens tracker. VideoStabilizationBufferLength UINT32 0 Set how many historical frames are used for video stabilization. 0 is 0-latency and nearly "free" from a power and performance perspective. 15 is recommended for highest quality (at the cost of 15 frames of latency and memory). GlobalOpacityCoefficient float 0.9 (HoloLens) 1.0 (Immersive headset) Set global opacity coefficient of hologram in range from 0.0 (fully transparent) to 1.0 (fully opaque). BlankOnProtectedContent boolean FALSE Flag to enable or disable returning an empty frame if there is a 2d UWP app showing protected content. If this flag is false and a 2d UWP app is showing protected content, the 2d UWP app will be replaced by a protected content texture in both the headset and in the mixed reality capture. ShowHiddenMesh boolean FALSE Flag to enable or disable showing the holographic camera's hidden area mesh and neighboring content. There are certain limitations around multiple apps accessing MRC at the same time. With the Windows 10 April 2018 Update, this restriction does not apply if the built-in MRC camera UI is used to take a photo or a video after an app has started using the photo/video camera. When this happens, the resolution and framerate of the built-in MRC camera UI might be reduced from its normal values. With the Windows 10 October 2018 Update, this restriction does not apply to streaming MRC over Miracast. With the Windows 10 April 2018 Update, there is no longer a limitation around multiple apps accessing the MRC stream (however, the access to the photo/video camera still has limitations). Previous to the Windows 10 April 2018 Update, an app's custom MRC recorder was mutually exclusive with system MRC (capturing photos, capturing videos, or streaming from the Windows Device Portal).